Horizon Guides is a celebration of travel less ordinary: experiences that push us beyond our comfort zone and expand our understanding of the world. We live in an era of quick and easy tourism, where the world feels smaller and more familiar than ever before. But at Horizon we know there's a big world out there that is full of intrigue and colour. Forget the undiscovered, untouched shangri-la. That was always a myth peddled by marketing types. Today’s best discoveries come from within – by travelling with a different mindset, approaching the world with open-minded curiosity, and connecting with new people and cultures. At Horizon we’re nurturing this new age of discovery. We provide fresh insights to familiar places, getting you closer to the people and the stories behind the holiday destinations. We believe that travel is about more than selfies and bragging rights. The world is not a list of places to check off. Burn the bucket list and embrace #TravelLessOrdinary. We create guides to extraordinary experiences in incredible places. Our guides can help you plan your next adventure, with all the essential information you need to find the right place and design the right trip. And because we’re completely independent and unbiased, you know you can always take us at our word. We never take payment for positive coverage and if our professional researchers and contributors haven’t been there, in person and on the ground, it doesn’t go into our guides. We publish dispatches and interviews with a wide range of local voices, world-famous explorers, conservationists, archaeologists and anthropologists, each with their own insights to share. From the remotest deserts and mountain tops to our own hometowns, we know there’s a story waiting to be told behind every place, and the people that live there. We’ve partnered with some of the world’s best independent tour operators to curate a range of first-rate travel experiences. Once you’ve read our guides and are ready to go, our partners will gladly help you find the perfect trip, with no pressure and no commitment to book. And because we don’t charge any commissions, you know you’re always getting the best possible price. We help independent tour operators and travel companies connect with a global audience of frequent international travellers. Interested in working with us? Get in touch at sales@horizontravelpress.com. We're based in Sheffield, England, with a contributor network of thousands of professional travel writers, researchers and destination experts. Matt has spent much of the last 10 years living abroad, including North and South America and SE Asia. He’s now back home in Sheffield, England, manning the fort at Horizon HQ and putting down some roots with his wife and their adopted Thai street dog. Mike is the techie one. After years of working on the Internet, he's perfected "work travel"—that often includes taking a large monitor in his hand luggage. He spends most of his time at home in Sheffield with his wife and son. Karam is an editor and journalist with more than 10 years' experience in industry. He has worked and lived in the UK, Middle East and India, but his favourite travel experience is spending a hazy month exploring landlocked Paraguay. With a background in journalism and publishing, Sadie has spent the last 3 years working remotely around the world. A lover of travel and graphic design, Sadie is busy combining her skills at Horizon HQ, while renovating her - slowly crumbling - home in Sheffield. Interested in contributing to Horizon? Register your professional and destination expertise here. Stuart is a writer and photographer who has been travelling in, hiking through and writing about the Himalaya region for over twenty years. He is the author of Lonely Planet’s Trekking in Nepal, the Rough Guide to Nepal, and the Tibet chapter of the Rough Guide to China. He is currently working on the Bradt guide to Kashmir & Ladakh. Away from the Himalaya he also writes widely about East Africa and conservation issues. He is currently working on a book, Once We Were Lions, about contemporary Maasai culture and wildlife conservation in Kenya. He is based in at the foot of the beautiful Pyrenees in southwest France with his wife and two young children. His website is www.stuartbutlerjournalist.com. Vidya Balachander is a food and travel writer based in Colombo, Sri Lanka. Formerly the features editor of BBC Good Food India, her work has also featured in Mint Lounge, Vogue India, National Geographic Traveller India, Time Out Mumbai and the 2010 edition of Fodor’s Essential India guidebook. Follow Vidya on Twitter for more food and travel insights from Sri Lanka and beyond. 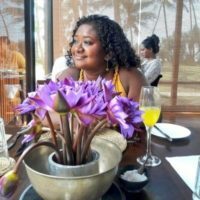 Charlotte is a freelance travel writer and blogger based in Kampala, Uganda. She fell in love with East Africa in 2009, during a two-year stint with Voluntary Service Overseas at the Uganda Conservation Foundation. 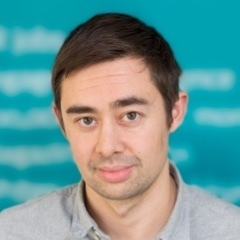 James Stewart is an award-winning travel journalist whose work appears regularly in the Sunday Times, Telegraph, Financial Times and Guardian. He also writes for Sunday Times Travel Magazine. 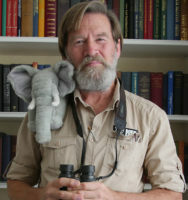 Ian Redmond is a tropical field biologist and conservationist, renowned for his work with great apes and elephants. For more than 40 years he has been associated with the mountain gorilla, through research, filming, tourism and conservation work. 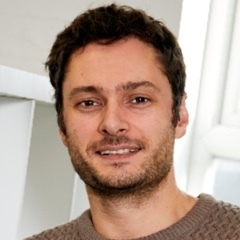 Ian founded Ape Alliance in 1996 to encourage conservation organisations to work together. 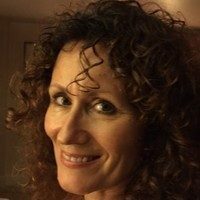 Sue is a freelance travel writer specialising in Africa, conservation and responsible tourism. 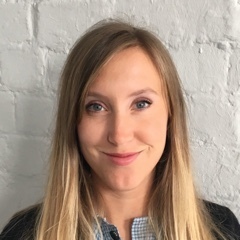 She writes for UK publications including The Independent, The Telegraph and The Times; for various magazines such as Travel Africa, BBC Wildlife and Wanderlust; and for travel websites including Lonely Planet and Rough Guides. 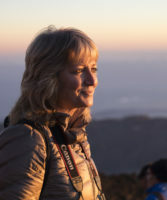 Fortunate to have worked with many top conservation organisations, Sue is passionate about African wildlife and feels privileged to have tracked mountain gorillas on six occasions to date in Uganda and Rwanda. Read Sue’s stories at www.suewatt.co.uk and follow her on Twitter at: @suewattuk. 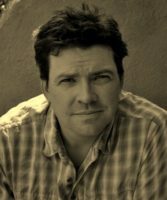 Ethan has been a freelance writer and editor for more than 20 years, with scores of projects focused on travel, culture and education. He specialises in responsible and sustainable tourism, family travel, and keeping travel local. 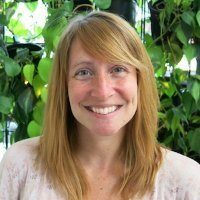 Emily is program director at the Torres del Paine Legacy Fund, a non-profit organisation dedicated to improving the visitor experience and long-term health of the park and its local communities. Jim is president of the International Galapagos Tour Operators Association, an organisation made up of 40 companies working to preserve and protect the islands by promoting responsible, well-regulated, low impact tourism, and by supporting critical conservation initiatives and scientific research. Katie Coakley is a freelance writer and occasional blogger based in Denver, Colorado. She’s eaten dinner on a portaledge in Wales, snorkelled through the North American and Eurasian continents in Iceland and ridden the Reunification Express through Vietnam and has lived to write the tale. Antarctica was the seventh continent she has visited. Her writing has appeared in various newspapers, magazines and online outlets. You can find more of her work on her website or follow her on Instagram. Freelance journalist, author and photographer, Jim O’Donnell focuses on conservation, human rights, and travel. A former archaeologist, O’Donnell is the author of “Notes for the Aurora Society” as well as numerous articles, several sordid tales, various angry letters-to-the-editor and other scribblings. He lives in New Mexico with his two children. Visit his website Around the World in Eighty Years and follow him on Twitter: @jimodonnell2. Based in Nepal, David is founder and editor of The Longest Way Home, the world’s number one online travel guide to Nepal. He has published dozens of interactive digital guides to travelling and trekking in the country, including the Nepal Guidebook. 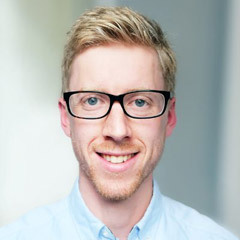 Following the 2015 earthquake, David founded the Digital Archaeology Foundation and MissingTrekker.com, both non-profit organisations that support cultural preservation, education and humanitarian support in Nepal. You can also follow David’s travels on Twitter. 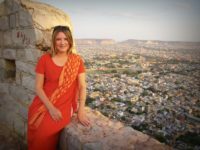 Mariellen is a professional travel journalist who publishes the award-winning travel site Breathedreamgo.com, inspired by her extensive travels in India. 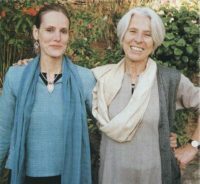 Though Canadian by birth, Mariellen considers India to be her "soul culture” and she lives up in the clouds in Rishikesh. 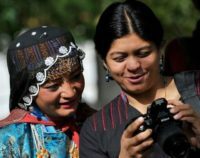 After fifteen years as a journalist in several media organisations, Lakshmi decided to travel the world. So far, she has covered five continents and 25 countries.